Before the big shopping malls of Davao City, there was the ALDEVINCO Shopping Center. 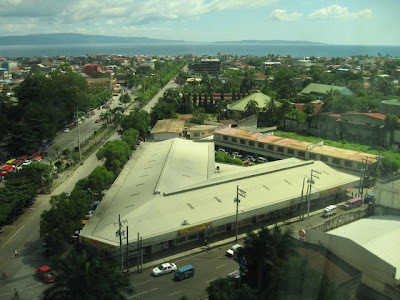 It is an 8,370 square meter commercial complex located at the junction of Claro M. Recto Avenue and Manuel Roxas Boulevard, and was designed by a Filipino Architect Roman Solitaria of Manila. The ALDEVINCO Shopping Center, or fondly called as "ALDEVINCO" was opened to the public and inaugurated on January 2, 1965. 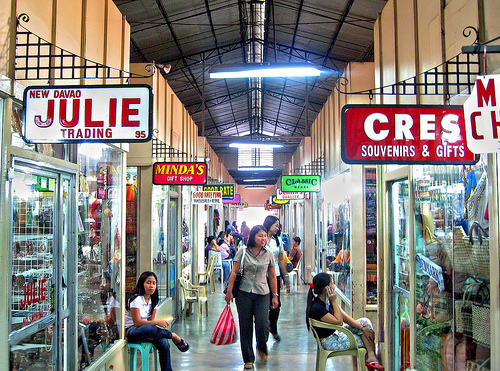 After 46 years, ALDEVINCO has become a renowned landmark and premiere shopping destination in Downtown, Davao City. 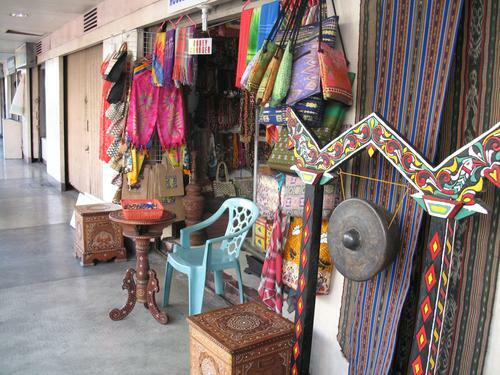 It is where foreign and local tourists alike, and balikbayans shop for souvenir items to bring back home. 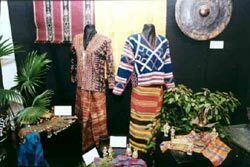 ALDEVINCO is an arts and crafts gallery of its own as it showcases the culture and heritage of the Mindanaoan. 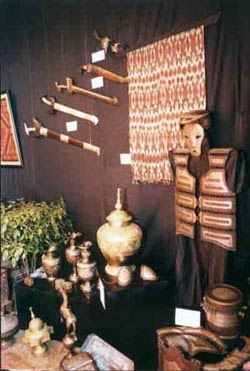 Here, you will find genuine Mindanaoan products, antiques, and a wide variety of colorful souvenir items - from mats, brooms, table cloths, and other house ornaments and accessories, musical instruments, tribal swords; to various Batik product, clothes, shawls, jewelries, and ethnic fashion accessories like dangling earrings, bracelets, necklaces and anklets of beads and brass -- an all-time fashion favorite in Davao City. 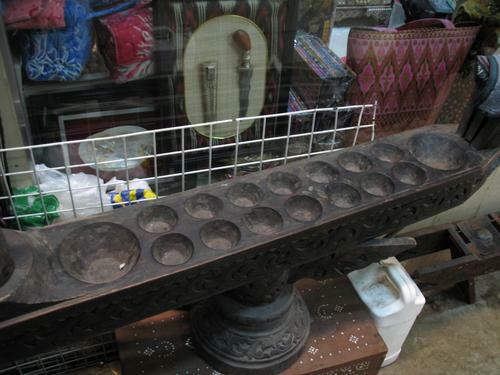 There are also products imported from Malaysia, Indonesia, Bangkok, and Hong Kong. 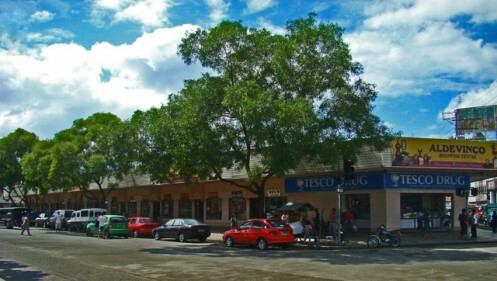 ALDEVINCO currently houses over 100 shops, most of which are operated by the second generation descendants of the original tenants. 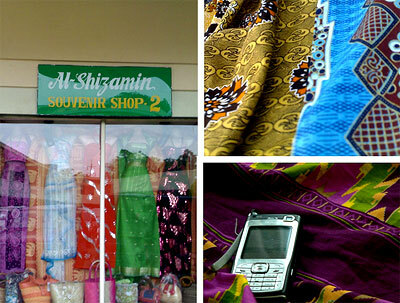 A typical shop is only approximately 10-12 sqm. Most of the merchants speak Tagalog, Bisaya, and English. Prices are negotiable especially when buying products in bulk. First buyers of the day are also privileged to discounted prices. 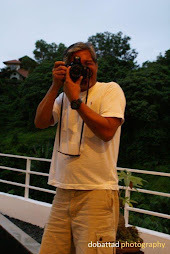 You have a wonderful blog!! 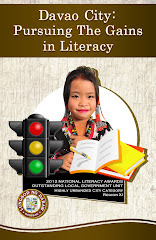 I found it very informative and refreshing. I wanted to know if you are interested in taking this amazing blog to the next level. a) A more effective and user friendly medium to post information than a blog. b) We will also provide you with domain name registration, domain hosting followed by website design and development. 2. We can also design customized blog templates to give your blog that well deserved new look! - Payment only on completion of the project, after your approval. - There are absolutely no hidden fees involved. We also offer obligation free customized design options for your new website/blog template, to help you get an idea of our amazing designs and how they will help your blog. In case you are interested, do feel free to email me at sales@tech-globe.com or you can also fill up our online enquiry form here http://www.tech-globe.com/contact.php. I love your posts, keep up the great work! Whoa! What a wonderful blog is this? I am so impressed regarding to your post about the information at Davao City. 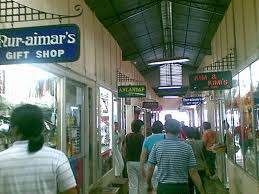 This place more knew that it has a lot of malls where we can shop it. Hopefully I will visit this place someday. Good to know this, me and my friends having a tour in Davao this weekend and now I know where we go to buy some souvenir items.